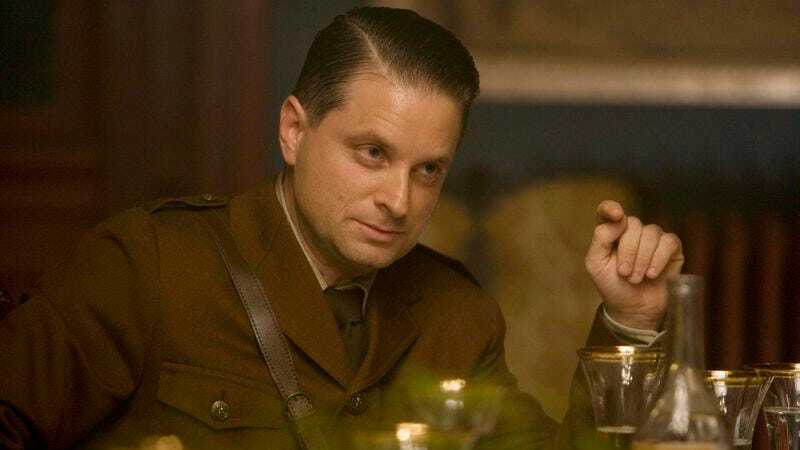 Coming shortly after the announcement that it was adding some of that magical Dollhouse and One Tree Hill pop culture heat to its cast, this week brings news that Marvel’s Agent Carter has cast Boardwalk Empire’s Shea Whigham as the male lead. Entertainment Weekly is reporting that Whigham will play the “tough but fair-minded Strategic Scientific Reserve Chief Roger Dooley,” ostensibly the 1946 equivalent to the present-day Marvel’s Agents Of S.H.I.E.L.D.’s Phil Coulson. Whigham’s character will oversee the titular agent Carter (Hayley Atwell), along with the aforementioned agents Thompson (Chad Michael Murray) and Sousa (Enver Gjokaj), of whom the latter of the two will no doubt be revealed halfway through the season as the evil descendant of a mad patriotic composer.